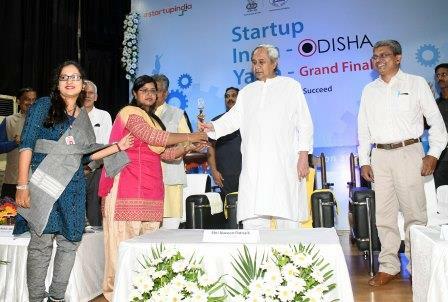 Bhubaneswar: Odisha Chief Minister Naveen Patnaik on Friday said the number of Startups registered with Startup Odisha Initiative has crossed 200 startups across various sectors. 23 of these startups are already getting assistance from Startup Odisha, said the Chief Minister. He released a booklet profiling of these startups here. “I am sure the state will be able to achieve the vision of supporting one thousand Startups by 2020,” he added. The Chief Minister also informed about the Startup India-Odisha Yatra, which was launched from the Secretariat on 30th January. During the yatra, 3600 ideas were received, out of which 125 ideas were shortlisted for the Accelerator Programme. “Today, 75 of them are getting incubation offers from different incubators namely, ITT Bhubaneswar, STPI, KITT University, Centurion University and many other institutions,” said the Chief Minister. This is an excellent initiative to scout grass root level innovators, who will be incubated at least for 3 months for their further development and possible conversion into Startup enterprise, he added.